Approximately 12-1/2 inches / 32 cm wide, including side tuning knob. 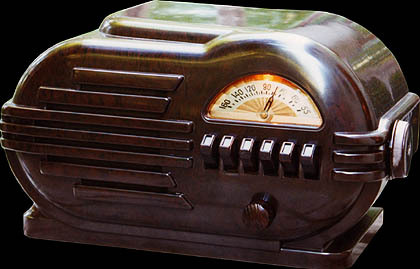 Belmont produced this radio both before and after WWII. The post-WWII production was labeled model 6D111. Here's a beautiful ivory painted example. This one happens to be a Coronado model C640. 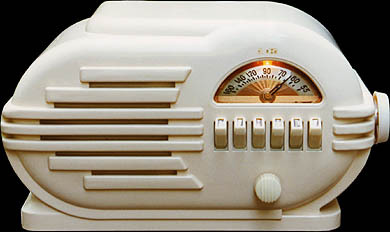 Belmont made Coronado-branded radios for the Gamble's department store chain. Those marks visible just above the dial are what's left of the original Coronado decal.